Srinagar, Feb 11: Restrictions have been imposed in down town and parts of the civil line to prevent any demonstration on Monday, where separatists have called for a strike on the death anniversary of JKLF found Mohammad Maqbool Bhat, who was hanged and later buried in Delhi’s Tihar jail on this day in 1984. A Police official told TNN that as a precautionary measure restriction under Section 144 CrPC have been imposed in areas falling under police station M R Gunj, Khanyar, Rainawari, Safa Kadal and Nowhatta in the down town and Maisum in the civil lines and Kralkhud in the old city. “The restrictions have been imposed to maintain law and order,” he added. However, roads leading to Gantaghar and historic Lal Chowk, the nerve centre of the summer capital, have been barricaded and people were being directed to take alternate MA road. Meanwhile, all gates of historic Jamia Masjid, stronghold of moderate Hurriyat Conference (HC) chairman Mirwaiz Moulvi Omar Farooq, have also been locked and nobody was being allowed to enter the worship place. A large number of security forces and state police personnel have been deployed in the down town to maintain law and order. 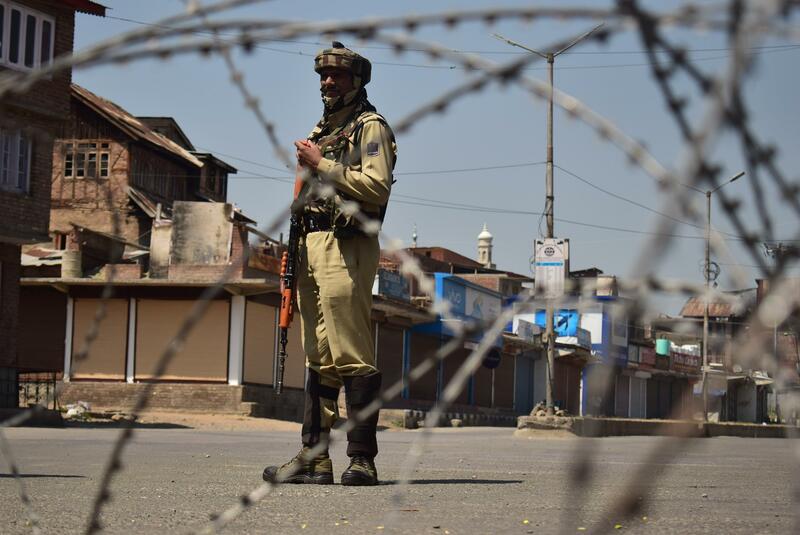 Security forces have closed main roads with barbed wire at some places and people were being directed to take interior routes to reach their destinations. Security forces were also seen patrolling other parts of the down town, including Malkha, Rainawari, Nowhatta, Rajouri Kadal and Khanyar. Similarly, roads leading to Maisuma in the civil lines have also been closed with barbed wire, while security has been beefed up to prevent any untoward incident in Kralkhud area in the old city.